What is an Oregon Living Will? Oregon Living Will: What Is It? An Oregon living will is also known as an advance directive. The purpose of an Oregon living will is to explain your desires related to medical care. 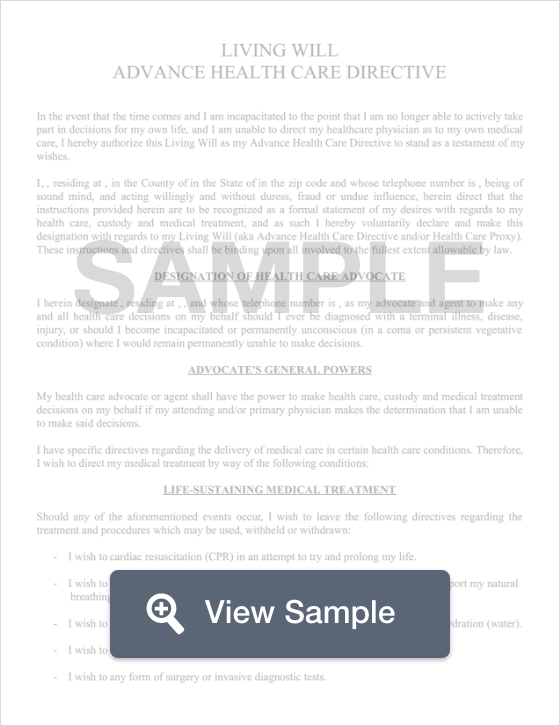 This document is used if you are unable to express your decisions for any reason. An Oregon living will is also used to name a healthcare representative. The job of the healthcare representative named is to make your medical decisions if you cannot do it. There are specific laws in Oregon that determine who can and cannot be named as your healthcare representative. An Oregon living will must also be signed by two witnesses. There are also state laws that determine who can sign as a witness. ORS Chapter 127: Oregon’s state law related to advance directives give competent adults the ability to document their healthcare decisions in writing to be used if a time comes when they are no longer able to make their own decisions. The law also provides a list of individuals who are not allowed to act as an attorney-in-fact. Because an Oregon living will deals with end of life issues, it’s also important for patients to ensure that they’ve created an Oregon last will and testament.